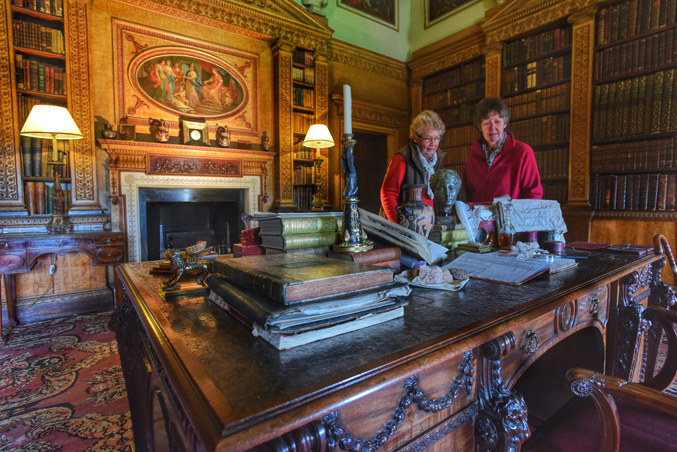 As spring days begin to lengthen, Nostell Priory and Parkland, near Wakefield, has launched ‘From Gloom to Glow’, an exciting new project which casts the 18th century house and its world-class collections in a new light. 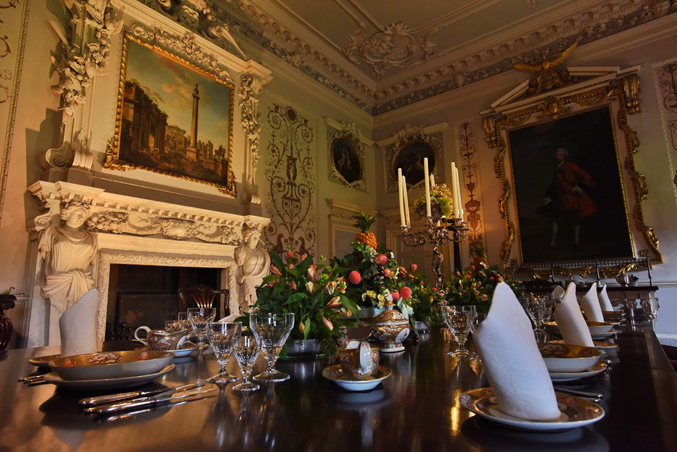 When houses like Nostell were built the family and servants would have been used to the dark, using a few candles to light their way, but today’s country house visitors need more help to enjoy this special place. 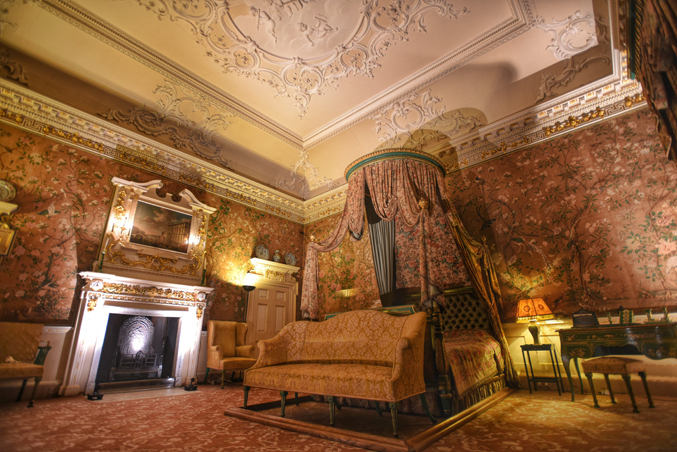 This is not an easy task – unlike purpose built galleries, precious listed buildings such as Nostell have limited options for installing lights and in some rooms nothing can be attached at all to the delicate ornate ceilings and wallpapers. To rise to the challenge, the team at Nostell Priory and Parkland secured internal National Trust funding to experiment with improving the gloomy atmosphere. 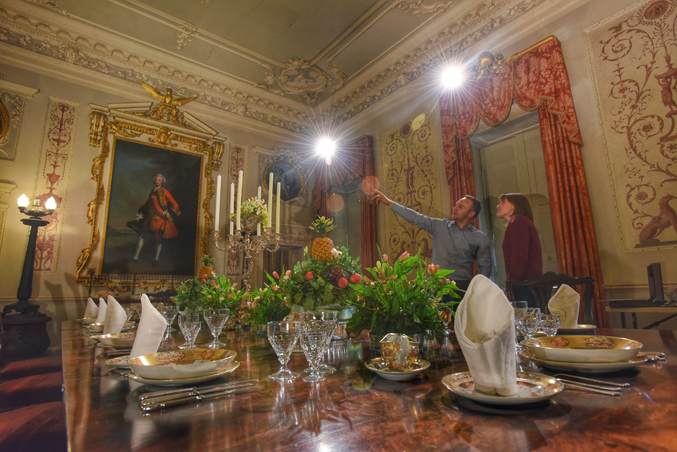 From Gloom to Glow is an evolving project that experiments with lighting never seen before at Nostell and the National Trust is actively encouraging visitors to share their thoughts and experiences about their visit. Nostell Priory’s plasterwork, paintings and precious objects will shine like never before with fresh light installations, designed by NDYLIGHT. They have used lighting in warm hues to create shadows and shapes so that the house feels welcoming, familiar and lived in. 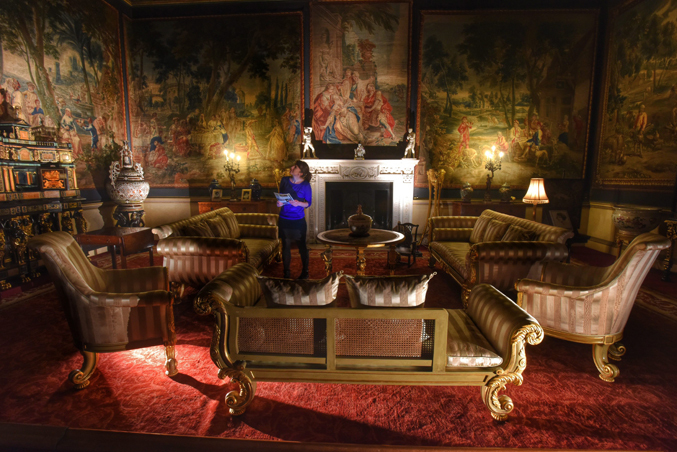 The lighting is intended to draw the eye to objects which symbolise human presence as well as highlight pieces of extraordinary craftsmanship including Robert Adam architecture, James Paine plasterwork and Chippendale furniture. The installations focus on five key areas throughout the house, with the Lower Hall featuring arches and columns framed with sweeping light to open up the entrance, enticing visitors to explore further. 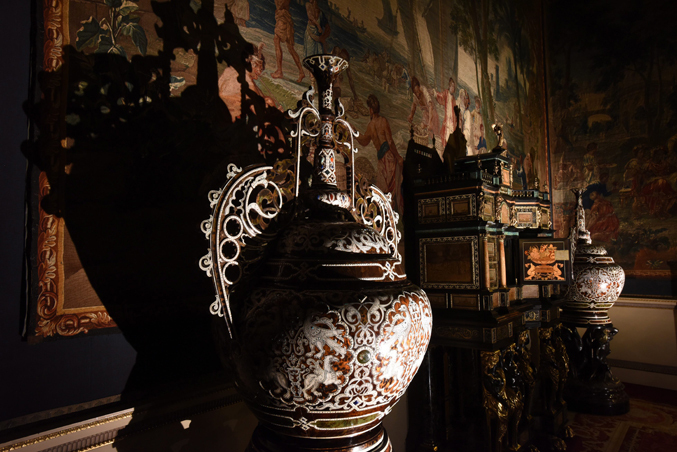 Evocative lighting techniques are used within the rooms to showcase a range of pieces, from dramatically shadowed frescoes and sculptures to spotlighted servants’ bells and sparkling glassware. It is hoped that regular visitors to Nostell will enjoy the house in a new way and discover parts of the collection that are sometimes lost or overlooked. The launch of From Gloom to Glow is accompanied by a mini guide providing visitors with an insight into the story of Nostell Priory and the significance of the illuminated areas. The imaginative lighting also opens up fresh opportunities for evening events, starting with Museums at Night on 15 May. As the days begin to shorten in September, From Gloom to Glow will expand to additional areas in order to showcase how the changing seasons impact the rooms, which appear dramatically different when bathed in golden afternoon sun and twilight colours. From Gloom to Glow officially launched in April, with the house open for guided tours 11am – 12 noon and open free-flow 1 – 5pm. The house is open weekly Wednesday – Sunday, normal admission charges apply and National Trust members are free. Visit www.nationaltrust.org.uk for further information and details.